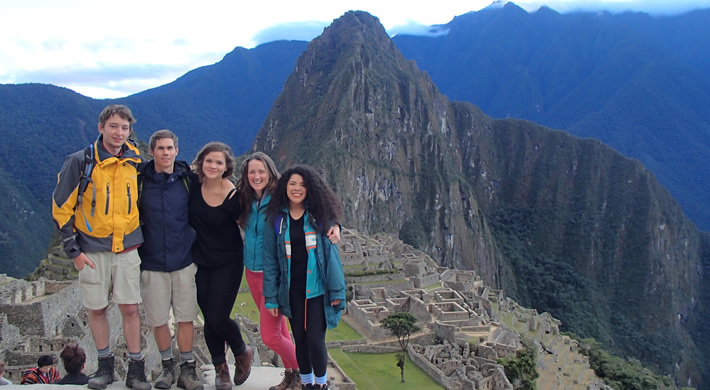 Machu Picchu Tour 1 day, is an easy tour for those who want the complete package to Machu Picchu in one day or with an overnight stay. Your journey to Machu Picchu will be by train,following the route of the Urubamba River all the way to the cloud forest that surrounds Machu Picchu you enjoy the beautiful scenery of the high Andes throughout the course of the journey. On arrival to Aguas Calientes you are met by your guide and head straight up to Machu Picchu for your guided tour of the site. Machu Picchu stands 2,430 m above sea-level, in the middle of a tropical mountain forest, in an extraordinarily beautiful setting. It was probably the most amazing urban creation of the Inca Empire at its height; its giant walls, terraces and ramps seem as if they have been cut naturally in the continuous rock escarpments. The natural setting, on the eastern slopes of the Andes, encompasses the upper Amazon basin with its rich diversity of flora and fauna. you will be picked up from Cusco hotel by our company representative who will then drop you at the railway station of Poroy. The train ride consists of spectacular views in this wonderful land of the Incas, amazing landscapes of mountains and valleys, Inca farming terraces , snowcapped mountains and sub-tropical jungle. Arrive at Aguas Calientes, your guide will meet you at the train station and transfer you to the bus for 25 minutes to Machu Picchu or "Old Mountain". Upon arrival, you will participate in a guided tour of the Citadel, where you enjoy a spectacular view of the city enigmatic, visiting the Main Plaza and fountains, the Circular Tower, the sacred sun dial (the most important preserved Intihuatana), the Temple of the Three Windows, various burial grounds ,urban and agricultural sector. After the entire tour is complete, you will have enough time to wander around this Archaeological Site.Lunch at a local restaurant. Afternoon: return by bus and train to Cusco.Overnight at the Hotel in Cusco.